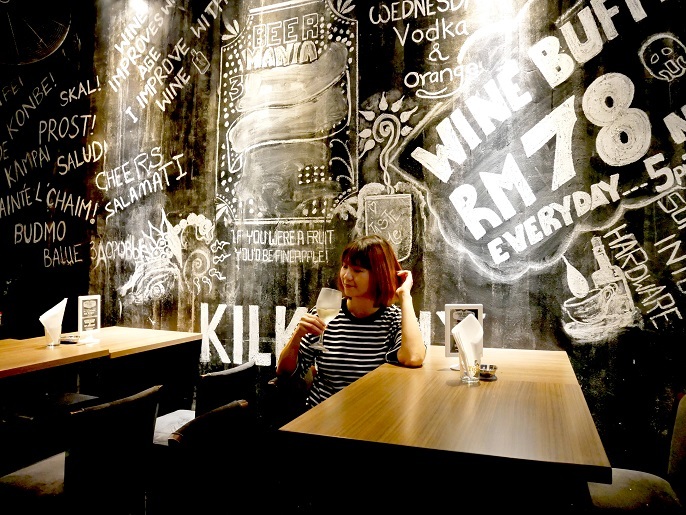 RM78 nett for a free flow of wine?! I'm not kidding! You heard it correctly! 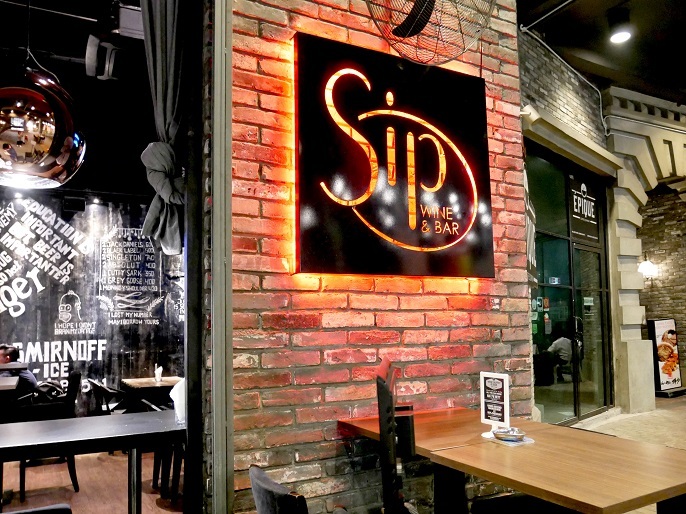 SIP Wine & Bar, located at Empire Damansara is offering a crazy affordable promotion with a wide variety of red and white wines to you! 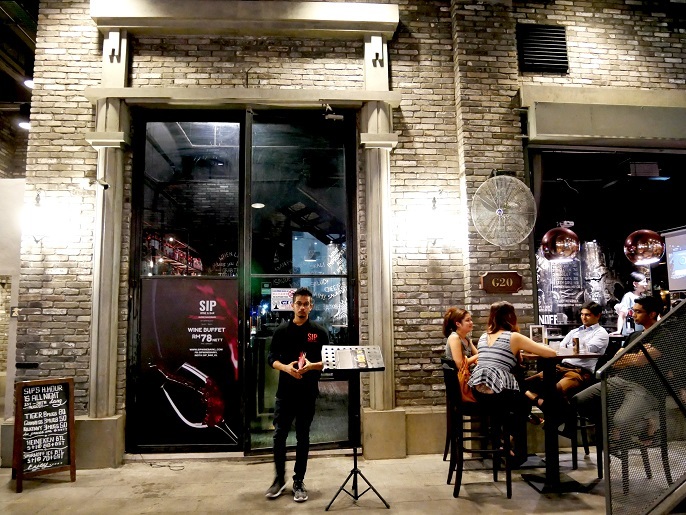 SIP Wine & Bar is a very cool chic place to hang out, especially those wine lovers. 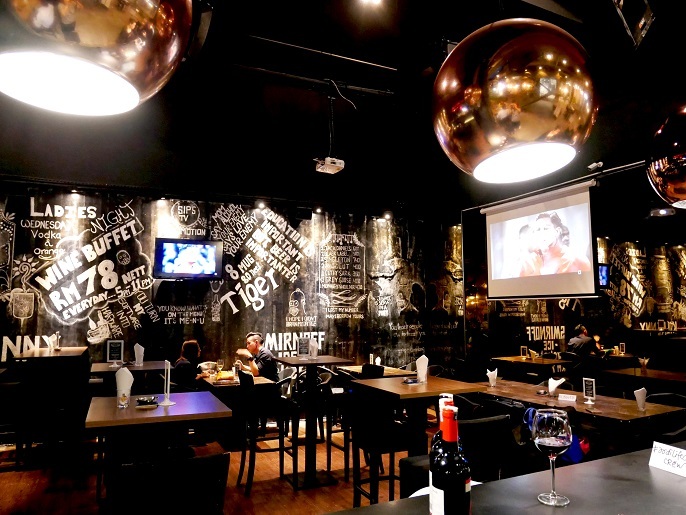 The place has a wide range of red and white wines, also special cocktails and beers for you! 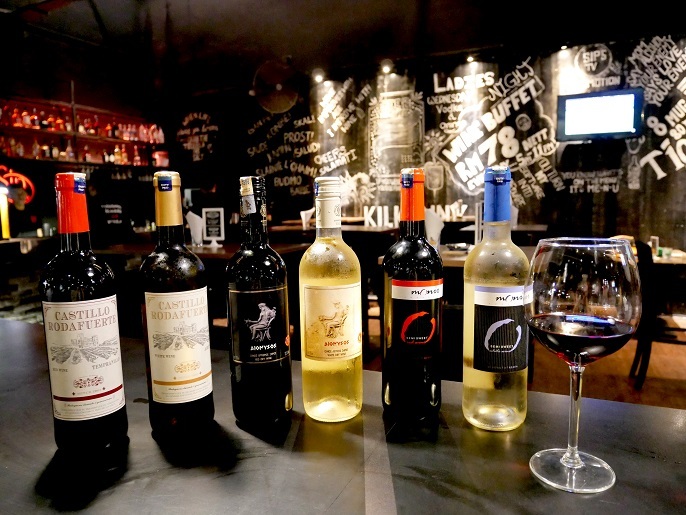 There are many alcohol promotions are going on, such as Happy Hour All Night Long at RM50nett, and Free Flow Red and White Wine at RM78 nett. The happy hour includes many types of beers, like Guinness, Tiger, Kilkenny, Heineken etc. The wine buffet serves 3 red wines and 3 white wines, starts from Castillo Rodafuerte Tempranillo, to Dionysos Dry Wine, and Monir Semi-Sweet Wine. 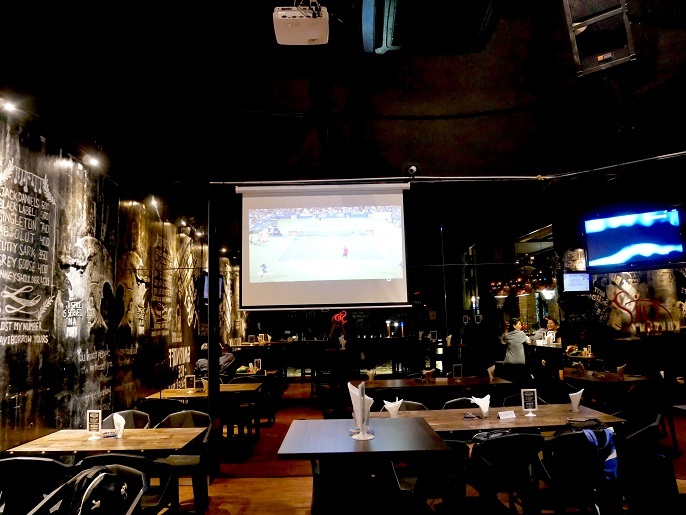 The place has a rustic and inviting interior. They play good music all night long. The service is great with attentive staffs. It also has a valued food menu with over 20 lists to blend out nice with the selection of wines. 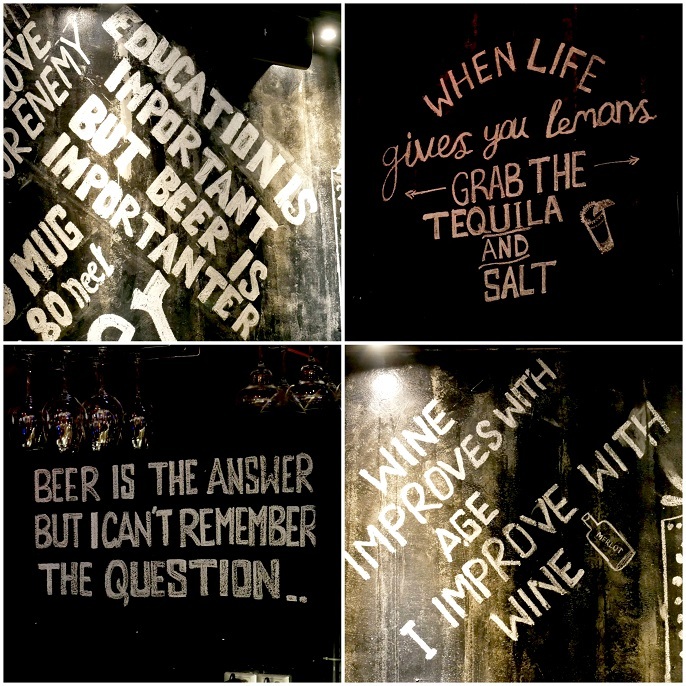 Especially the chalkboard quotes that related with wines and beers! Appetizers station comes along with the Mushroom Soup with Garlic Bread @ RM17.00. 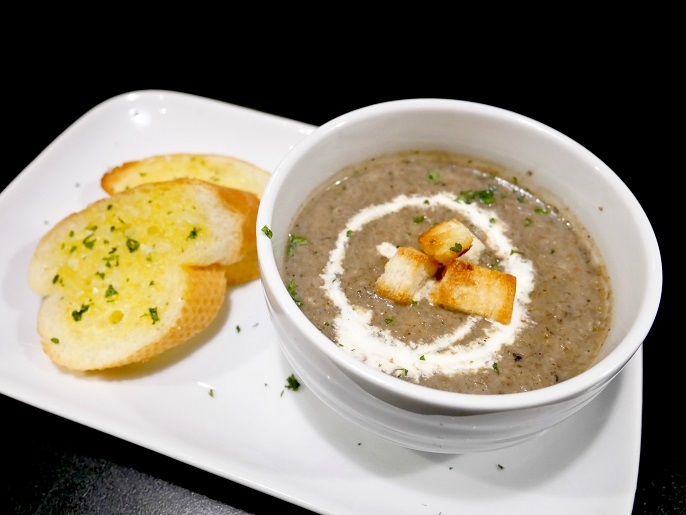 A mouth-watering creamy and delicious mushroom soup which served with 2 pieces of toasted garlic bread. 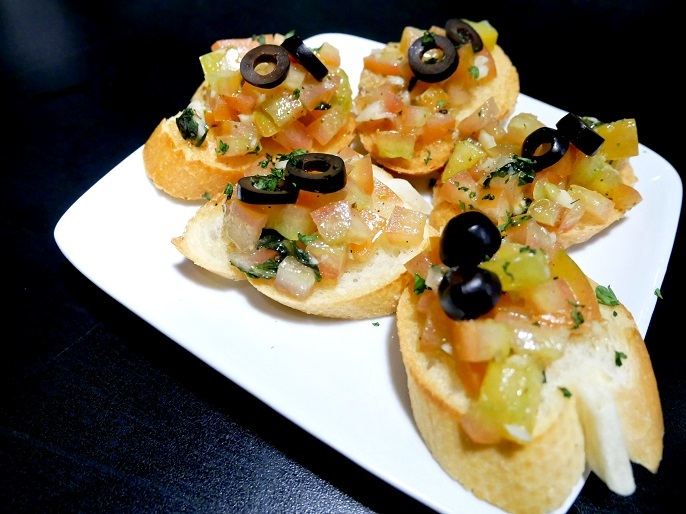 Tomato Brushetta @ RM12.00, a classic simple Italian Tomato Bruschetta recipe that consists of 5 pieces of toasted bread with tomatoes, and olives toppings. 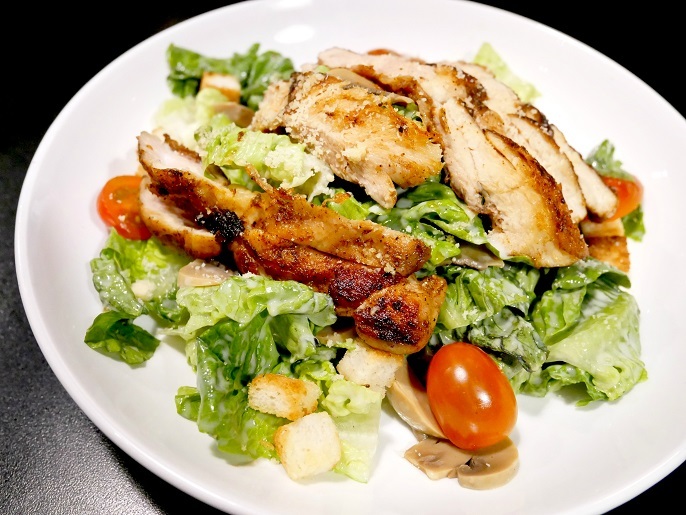 Caesar Salad with Grilled Chicken @ RM22.00, a typical green vegetables mixed with Caesar dressing, and topped with grilled boneless chicken breasts and whole-wheat bread cubes. 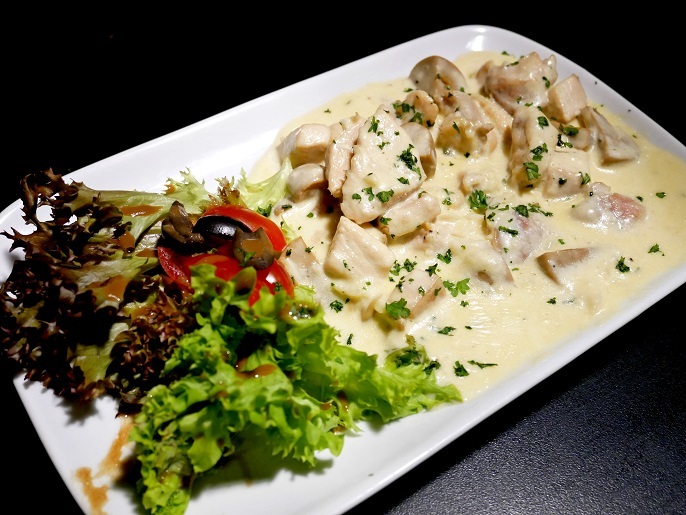 Creamy Chicken Breast @ RM25.00, is really a satisfying creamy dish, with it's in-house garlic butter sauce on the chicken breast cubes. Some vegetables are served on the side of the dish. 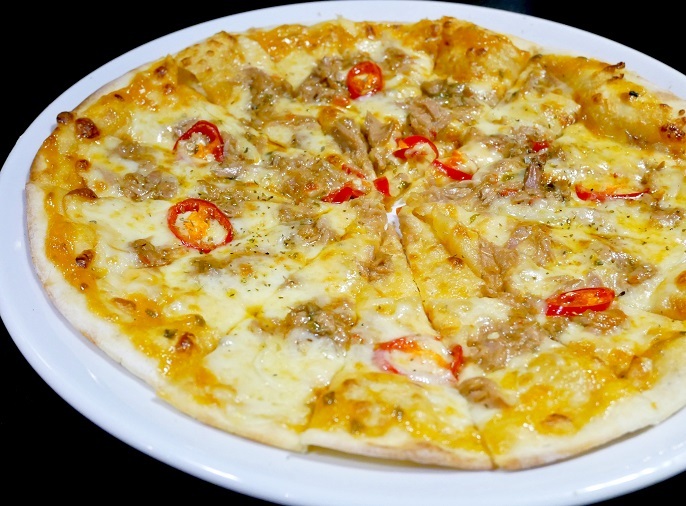 Pizza station has the Spicy Tuna Pizza @ RM35.00, which baked with the in-house thousand island sauce, tuna, onions, and red chilies. 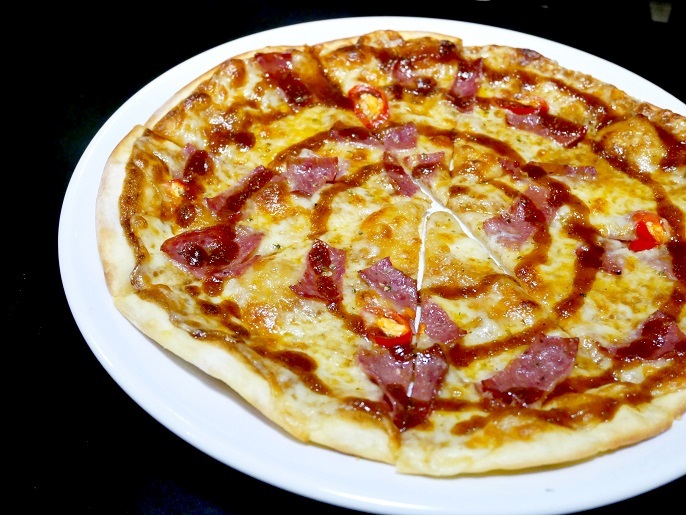 Diavola Pizza @ RM34.00, is prepared with their in-house BBQ sauce, with topping of beef bacon, onions, and red chilies. 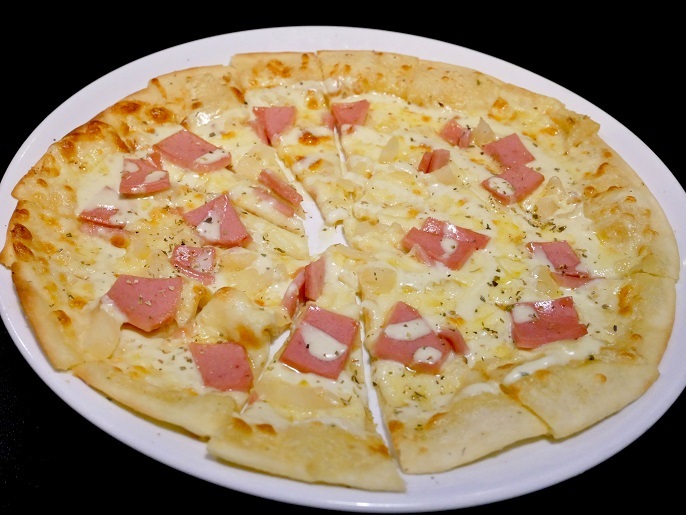 Haiwaiana Pizza @ RM34.00, has a super thin crust that topped of in-house garlic butter sauce, chicken ham and pineapples. Pasta station comes along with the Seafood Oglio with White Wine Sauce @ RM40.00. 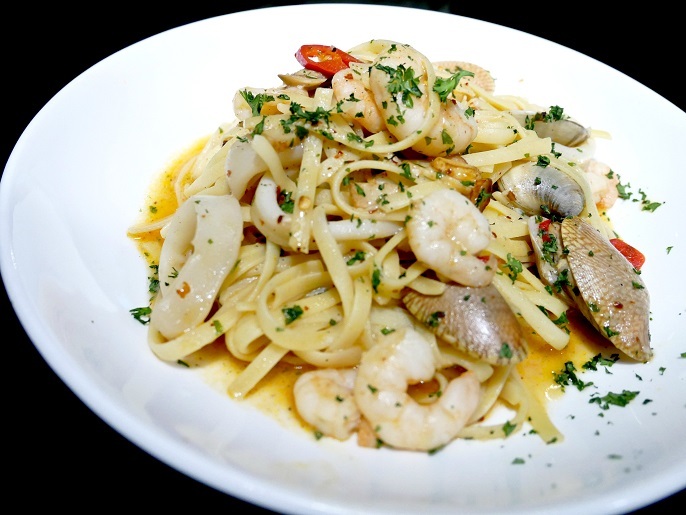 The linguine has a perfection taste that cooked in white wine, and tremendous toppings of fresh seafood such as prawns, clams and squids. 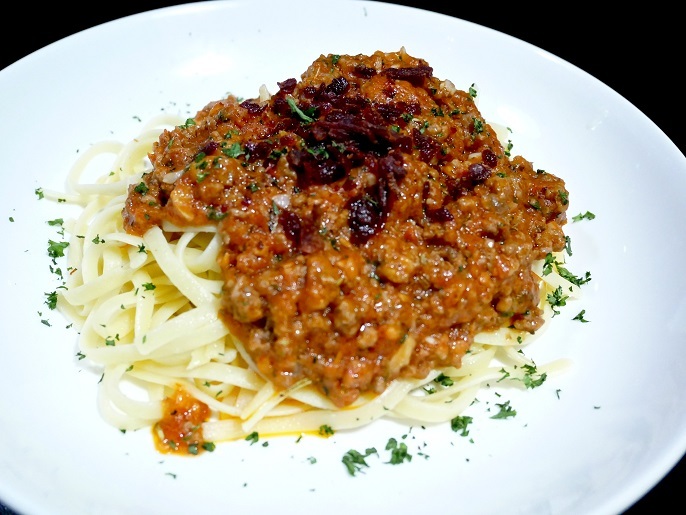 Followed by the Beef Bolognese @ RM25.00 that prepared the linguine with their in-house Bolognese sauce and diced beef. 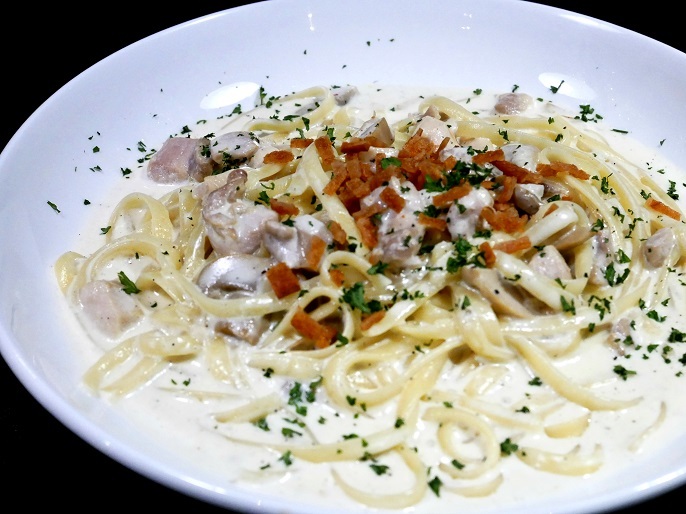 Creamy Carbonara @ RM28.00, has a super creamy in-house carbonara sauce with the linguine, then cooked with chicken slices and topped with generous crispy chicken ham stripes. 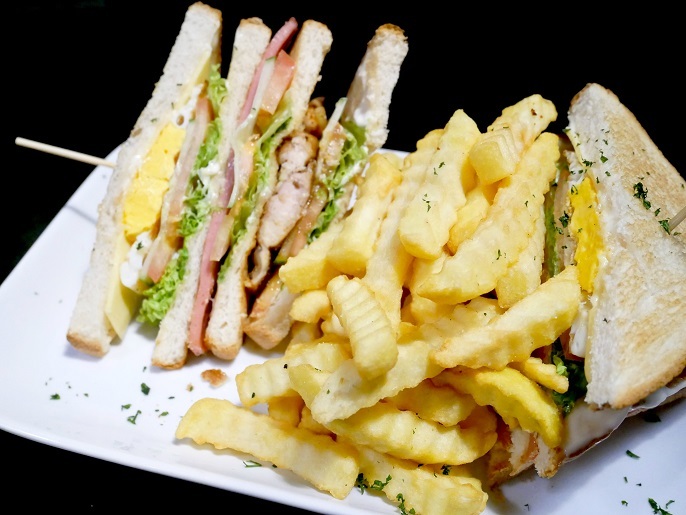 Tower Sandwich @ RM25.00, is a three layers toasted white bread sandwiches that consists of fried chicken on the first layer, salads on the second layer, and fried egg on the third layer. Enjoy the big combos with the french fries at the side. 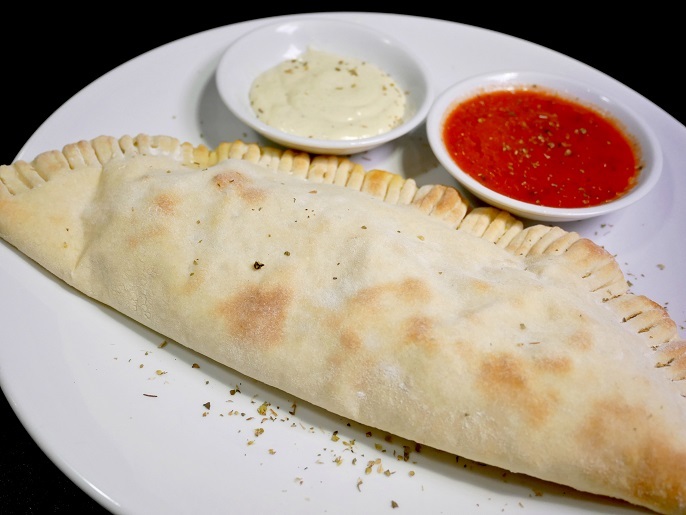 Half Moon @ RM37.00, has fillings of beef salami, mushroom, onions, that paired with in-house pomodori and garlic butter sauce. 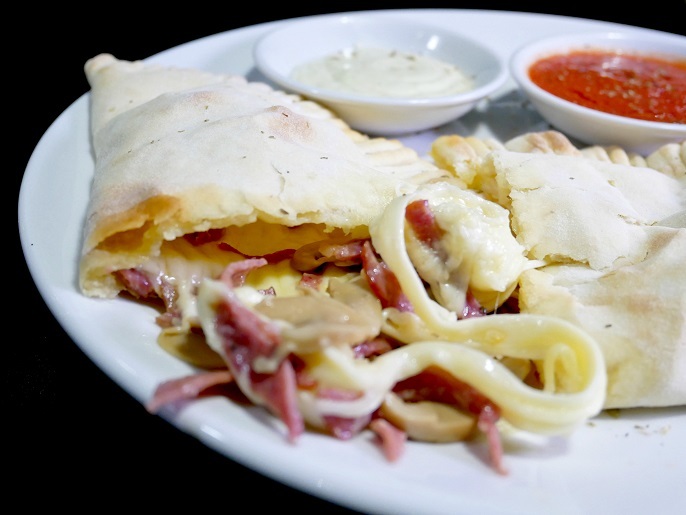 Love the streaky cheese of this dish! 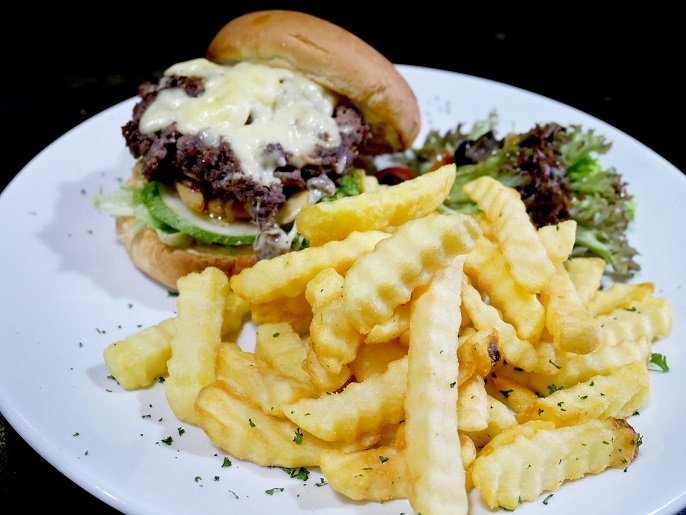 Red Wine Beef Burger @ RM45.00, is a special made beef burger with their in-house beef patty marinated and dry red wine. 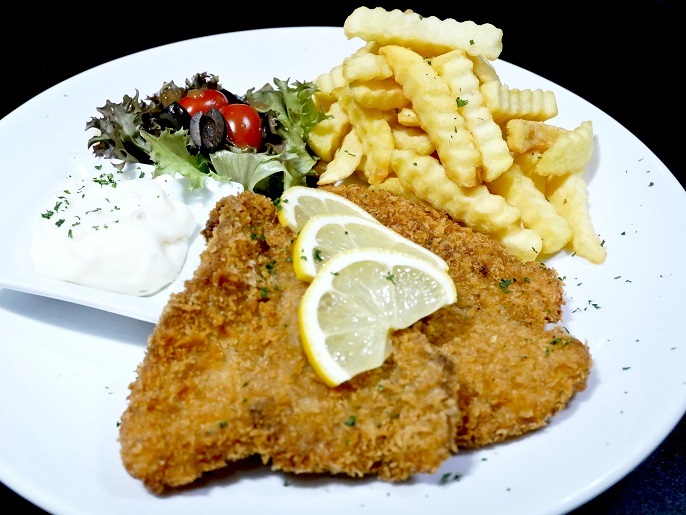 Fish and Chips @ RM28.00, comes with a fried dory fillet, chips as the side dish, and paired with their in-house lime sauce. 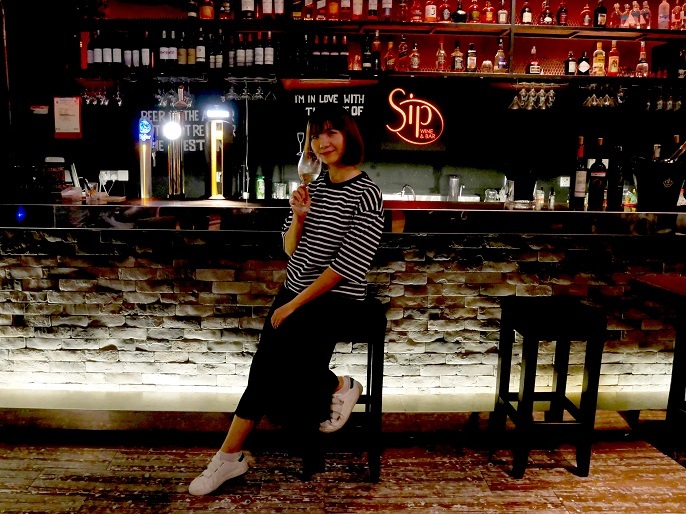 Overall, I find this is a perfect place to chill out, grab a drinks, and enjoy the party after a busy day with friends and colleagues. Also, the special wine buffet promotion is definitely worth getting here for a relax night.